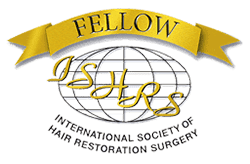 There are numerous reasons that could lead to hair loss, however, the best method of curing the same would be by firstly understanding the underlying cause. One reason that has led to serious hair loss related problems include thyroid playing truant. In order to treat hair loss caused by thyroid, it is essential that we understand what thyroid is and why it is that it creates such situations. The thyroid gland is perhaps one of the largest glands in the body’s endocrinal system and sits in the neck. The main functions include regulation of metabolism of the body and also helps in the synthesis of various proteins. When there is an imbalance in the hormones, there are bound to be visible changes in the body, and one of them happens to be hair loss. 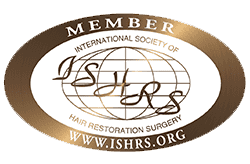 While hair loss and growth of new hair is an ongoing process, hormonal imbalances can lead to serious issues in the hair growth cycle. How are thyroid and hair loss connected? When there is an imbalance in the thyroid gland, there can be mainly two conditions – hypothyroidism (a drastic decrease in the activity of the gland) or hyperthyroidism (a drastic increase in the activity of the gland). And it has been shown that either one of these conditions can lead to hair loss. As a matter of fact, when there is hair loss due to either one of these conditions, it will be spread over the entire scalp, and not limited. In most cases, regrowth does happen with proper treatment, but the same could take a long time. Each hair goes through a cycle – when it grows, when it rests and when it falls off, giving place to a new hair. At any given point of time, each hair on your head is going through one of these phases, but when there are changes in your thyroid gland, the entire cycle is thrown off balance. It is this situation that leads to the hair loss, thinning of hair, and in the most extreme cases, baldness. 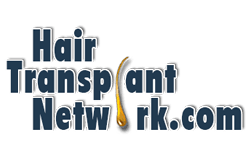 While many people might not be aware of this, the thyroid gland is essential for the proper growth of hair, and any changes in the same will lead to changes in the manner in which hair grows. If not detected and treated in time, the condition can worsen quite quickly. 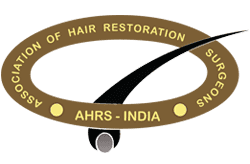 As a matter of fact, if there is an excess of thyroid, the hair on the head can become quite thin, all over the scalp and if there is deficiency, the hair becomes coarse and sparse all over the body. In most cases, where there is hypothyroidism or hyperthyroidism, chances are that it is an autoimmune condition, and if there is one autoimmune condition present in the body, there is always the possibility of another one emerging soon after. Studies have shown that alopecia areata arises in such people, more than others and can lead to hair loss in certain areas. Yet another condition that is often associated with autoimmune thyroid diseases and can manifest itself in the form of hair loss is polycystic ovarian syndrome. Which are the common tests and investigative methods to detect thyroid problems? How are thyroid diseases treated? 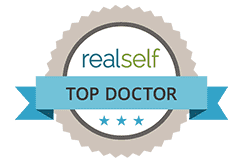 If you have been losing hair because of thyroid related problems, you should meet a doctor immediately, because many a times, quick diagnosis and treatment could lead to faster recovery. Once the hormones are back to normal, your hair too should return to being healthy. Determining the precise dosage might take a little time, and during this time period, things could go slightly bad for your hair. At such a time, you could ask your doctor to prescribe certain growth stimulants, which will help keep a tab on the hair loss. If the body has a disease, it will take time to treat the same, and if you are suffering from hair loss because of a thyroid imbalance, you will have to be prepared for the same. It is best that you give the treatment the time to take effect and in the meantime, you could read up on the condition you are suffering from. If someone tells you about miracle cures, do not fall for them. It is also important that you take sufficient care in washing and combing your hair, and at times like these, it is best that you stay away from over styling the same.